Design Miami established its Panerai Design Miami/ Visionary Award four years ago to honor individuals and firms making important contributions to design. For 2017, the annual design fair took a more proactive direction with the award by commissioning a project to benefit a community in need. The focus of the award is the Mwabwindo School project, a collaboration between 14+ Foundation, artist Rashid Johnson and Selldorf Architects. All of the collaborators donated their services to the project. The school is being built in rural southern Zambia and it will serve mainly as a primary school for local children. The project aims to alleviate the problem of long travel distances between rural families and schools, which force many children to go without an education. The building is designed as a series of semi-open spaces under an umbrella roof. Skylights and natural air circulation negate the need for light fixtures and powered air conditioning. Design Miami commissioned Basel-based architecture and design firm Christ & Gantenbein to design furniture that will be donated to the Mwabwindo School. 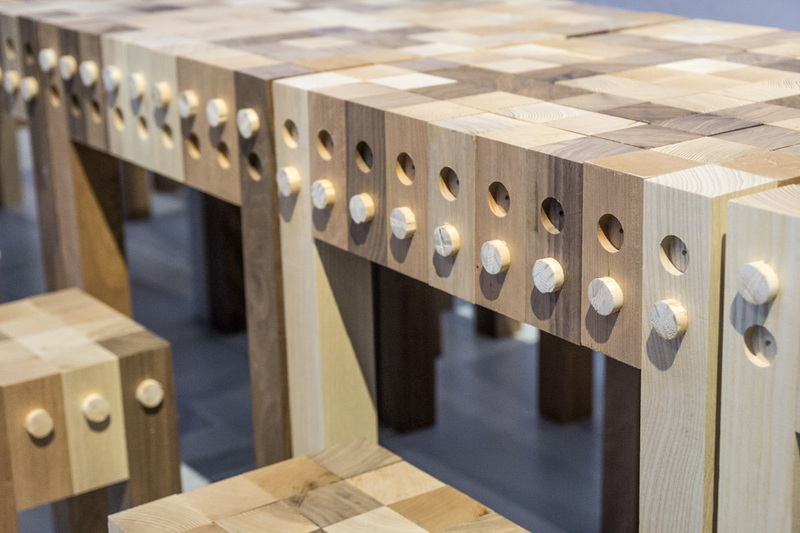 The tables and chairs are made from wooden blocks held together by wooden pegs. No other hardware or glue is needed. 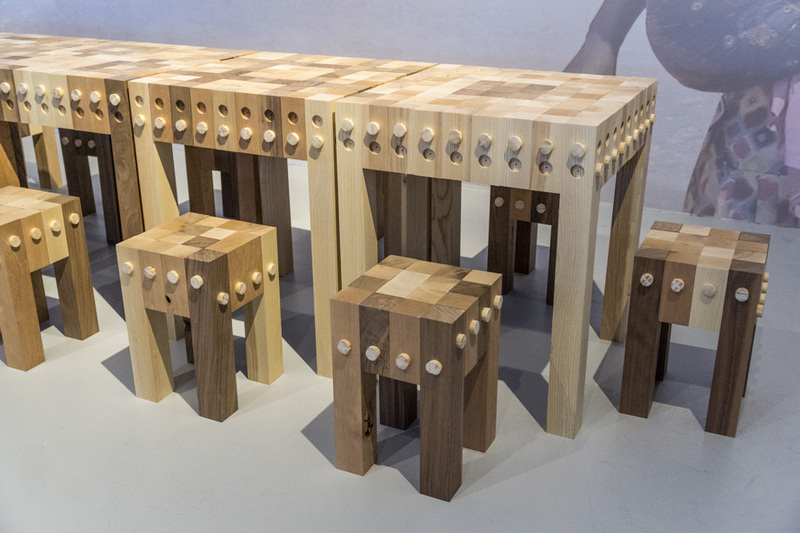 The tables are designed to be modular and can be rearranged into different configurations, joining together like LEGOs. The furniture and building project will heavily involve the local Zambian community and support their economy. Wood for the furniture will be sourced from the region and local craftspeople will be hired to fabricate the pieces. Assembly will also be done by Mwabwindo community members at the school after construction is complete.